A team of investigators has isolated colistin-resistant Escherichia coli from a commercial poultry farm in China. Colistin is an antibiotic of last resort against certain bacteria. The research is published in hte journal Antimicrobial Agents and Chemotherapy. The researchers found that E. coli from the chickens often carried multiple resistance genes, including one copy of the colistin-resistance gene mcr-1, and one copy of the resistance gene, mcr-3. This is the first report of these two genes on a single plasmid. 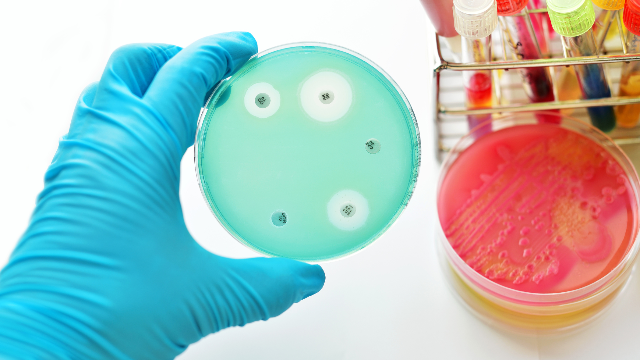 “The coexistence of mcr-1 and mcr-3 in E. coli isolates may pose a huge threat to public health,” said Dr. Hongning Wang, PhD, Professor of Animal Disease Prevention and Food Safety, Key Laboratory of Sichuan Province, Sichuan University. Plasmids are genetic elements that can jump from one bacterium to another, and sometimes even from one species to another, often spreading resistance genes. The resistance genes were contained on a type of plasmid known as IncP. The researchers also found circular pieces of DNA bearing mcr-3, which were derived from IncP plasmids. These so-called circular intermediates often contain “insertion sequences” that encourage their integration into other plasmids, hastening spread of the resistance genes. “This study was originally designed to isolate strains carrying mcr-1 genes, but it is surprising that there are already strains carrying multiple mcr genes in chicken farms,” said Dr. Wang. “The apparent spread of the same IncP plasmid with one or two mcr genes between different species and a patient, the hospital environment, and animal production is worrying, he said. The mcr colistin resistance genes, five of which are now known, were only discovered in 2016 (there are also variants on some of the five.) In addition to E. coli, the resistance genes have been found in Klebsiella pneumoniae, Enterobacteriaceae, and aeromonads.